Some companies require a small and economical dispense system to meet their dispensing requirements - Catalina was developed with this in mind. This powerful and compact dispense robot is easy to learn with its computer-based software with Windows operating system. Applications using conductive adhesives, solder pastes, glues and gasketing, and more benefit from this compact and full-featured table top dispensing system. 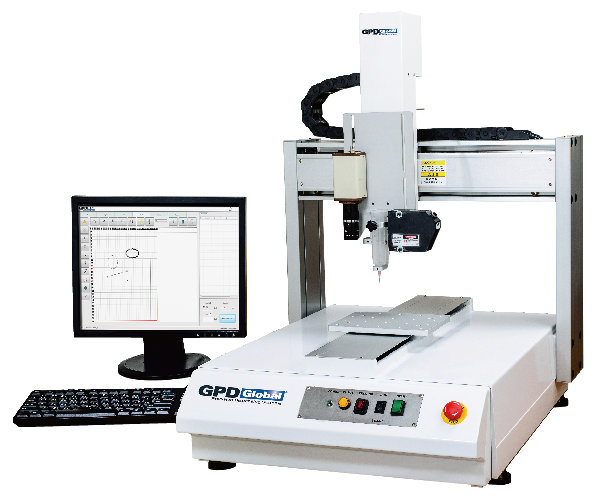 GPD Global is an equipment manufacturer of high quality, precision, automated fluid dispensing, conformal coating & component-prep systems. The company is an international, state-of-the-art equipment supplier for the PCB assembly and semiconductor industries. Design and manufacture a wide variety of Automatic Fluid Dispensing & Conformal Coating Systems. We also manufacture SMT Cover Tape Peel Tester and Component Prep equipment for Thru-Hole applications.